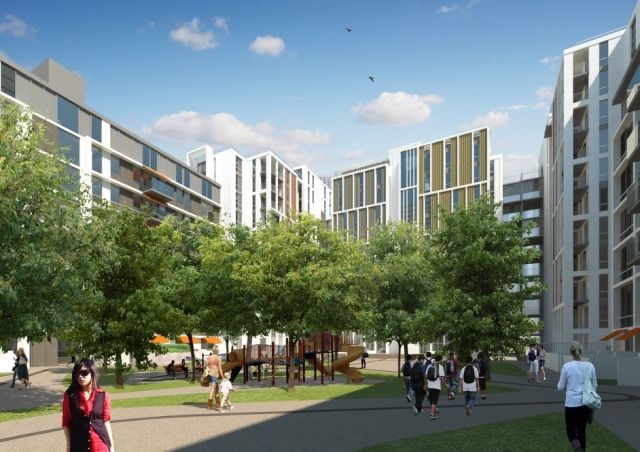 Following the success of the 2012 Olympics, the Athletes Village was to be transformed into residential dwellings. Previously, each unit was divided into as many bedrooms as possible to house the athletes and didn’t include kitchens. We were brought in to carry out various alterations, including: enabling works for electrical contractors to install kitchens, installation of blind boxes and upgrading finishes to plastering and ceilings. In total we worked in around 600 units, working alongside various contractors for a period of 2 years.